Brandon, Tyler, Coco, and Trevor at the Premiere. Brandon, Tyler, Coco, and Trevor at the Premiere. 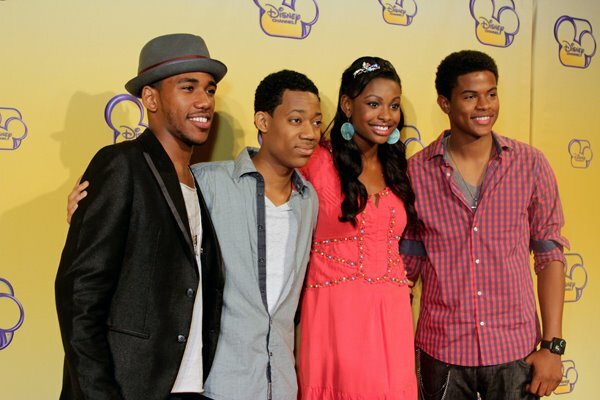 Wallpaper and background images in the Let It Shine club tagged: let it shine 2012 coco jones tyler james williams brandon mychal smith trevor jackson disney channel. This Let It Shine photo might contain dama de honor, bien vestido persona, juego, juego de pantalones, traje pantalón, persona bien vestida, traje, pantalones traje, pantsuit, pantalones de traje, traje de negocios, and juego de negocio.